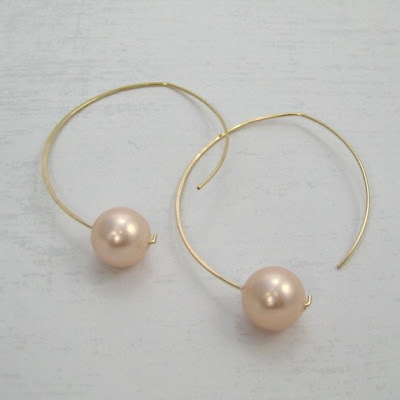 Oh my, these pink pearl earrings are so feminine! 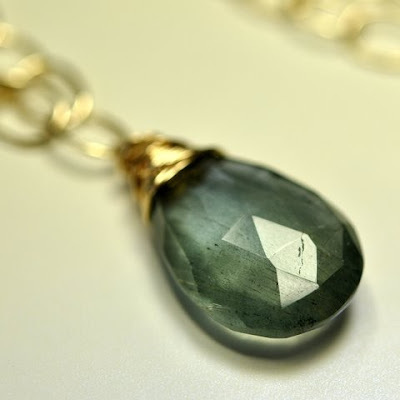 The Moss Aquamarine Solitaire Necklace is also my favorite, it's breathtakingly beautiful. Aquamarine is also my birthstone, fabulous! HAPPY NEW YEAR! MAY 2011 TOTALLY ROCKS YOUR BLOG! Very nice! The stones are pretty to start with and SeaBabe makes them little works of art. The necklace is lovely - too bad I can't buy two of them for presents. I really really love the Bad Apple, Black Rough Diamond Garnet necklace; the mix of the polished "apple" against the gorgeous rough diamond is so unique and appealing. 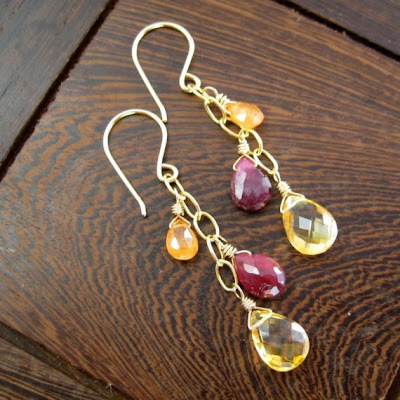 I like the Smokey Topaz Gold Filled Earrings. Thanks. This is gorgeous as is ALL of your work! this is amazing as well! I love the simplicity of the hammered gold necklace! It's so classy! I love love love Kristin's fabulous jewelry. I bought the bridesmaids necklace for my mother in law who lives on the Central Coast in California. It reminded her of sea glass. I just got the hammered gold bronze pearl earrings for myself and I love them. Her pieces are simple yet elegant and perfect for any age. 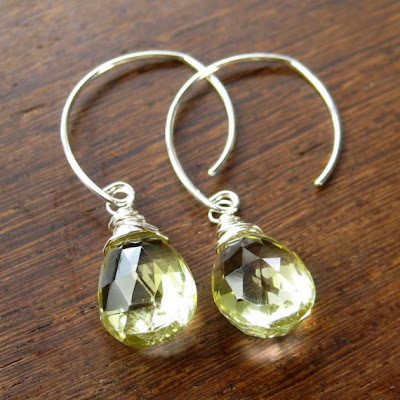 I love the Lucious Lemons, Lemon Topaz Earrings on Handmade Sterling Silver Earwires. Would go with just about any outfit in closet.